Same day repairs and free estimates on new doors available. Garage Door Repair Yonkers offers fast, effective repairs for every part of your overhead door system. If you’re searching for local repair experts near you, then by turning to us you get what you need. Garage door not opening or closing properly, or any other issue that affects the system’s movement requires pros to fix. Too many overhead door problems can present serious risks. You’re better off leaving things to the nearest pros. No job is too large or too small for the team at Garage Door Repair Yonkers. You always get a same day response when you contact us for help. Broken spring repair is what many Yonkers homeowners call us for. This problem is perhaps the most common overhead door spring problem. It certainly occurs often enough. But why? Well, your garage door spring broke because of tension problems. Sometimes the part itself grows too weak to hold the door. Sometimes it’s neglect that causes a spring to break prematurely. Torsion and extension springs garage door systems use are designed to last for several years. But they can last more with proper maintenance. Or, they can end up lasting less. The automatic overhead door not opening all the way can indicate a worn spring. It not opening at all is another tell-tale sign that broken spring repair or replacement is required. 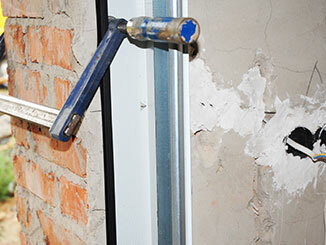 Regardless of the problem, Garage Door Repair Yonkers can assist you. The cables are the other crucial load-bearing parts. They support and pull the door panels and must stay in great shape. Any signs of cable fraying or braiding point to reduced strength. That means the garage door cable in question will eventually break. If you catch this in time, you can get them replaced. Otherwise, broken garage door cable repairs will need to take place. Attempting DIY with door cables is not recommended. Better leave it to the pros, especially if they’re as close to you like Garage Door Repair Yonkers is. Every automatic garage door system relies on an opener unit. Those can use a chain, a belt, or a direct drive to moe the door. If the garage door opener is not working you need to get it looked at ASAP. Unlike some minor troubleshooting tasks that you can do yourself, opener problems require experience and training to handle. The garage door sensors could be misaligned. The drive system or trolley can break and need repairing. Even the circuit board and electrical wires may require some fixing. Garage door opener repair is a job you need to leave to professional technicians. There are plenty of options to choose from if you want to replace your garage door opener. You’ve got a range of reliable brands that offer excellent products with lots of innovative features. A Genie ultra-silent belt drive opener is great if you want silent and smooth performance. It is great for attached garages where silent operation is very crucial. A LiftMaster chain drive opener model is going to be powerful and, although noisy, very reliable. The Chamberlain and Sears brand also offer excellent and affordable opener models. Consult with the local experts at Garage Door Repair Yonkers to ensure you get the best model for your needs. The garage door opener installation will take place at your earliest convenience, and your new model will work great from day one. These are the hardware parts that guide the movement of the door rollers. They help the panels rise and descend in a smooth and even way. Any damage to the garage door tracks, whether from rust, dents or misalignment, will hinder the movement of your door. A garage door off track is a familiar scenario that you’ll want to avoid by performing regular maintenance. However, if you do encounter it, know that the leading experts on garage door track repair are close by. A short phone call and the cavalry will be on its way. Garage Door Repair Yonkers specializes in track realignment and repairs, and can even replace track sections if it’s needed. The experts here at Garage Door Repair Yonkers handle all the previously mentioned services and many more. Apart from emergency repairs, you can also call us to get a free estimate on the installation of a new garage door. Offering services seven days a week means there’s always someone available to help. Your complete satisfaction is always the goal. That’s why the response time stays short and the results stay excellent. Get in touch with us whenever you need help from the closest and most experienced garage door repair experts. Why I Can't Open My Garage Door With The Remote? Is It Safe To Repair My Broken Garage Door Spring? Yonkers-based garage door repair services near you available Saturday through Sunday. Get in touch with us for anything from emergency broken spring repair to opener troubleshooting. You can even get a free estimate on a new garage door. Getting help from nearby pros is always a good idea. It ensures reliable experts tend to your overhead door in the shortest time possible. Any assistance you need, Garage Door Repair Yonkers provides it. Browse the website to learn more about the available garage door services, and feel free to call us whenever you need help. At Garage Door Repair Yonkers, your satisfaction is our guarantee! Offering same day services and top quality products, our team is always at your service. Thank you for choosing Garage Door Repair Yonkers! One of our experts will be in touch soon. Feel free to browse our website for FAQ, tips and more useful information in the meantime!